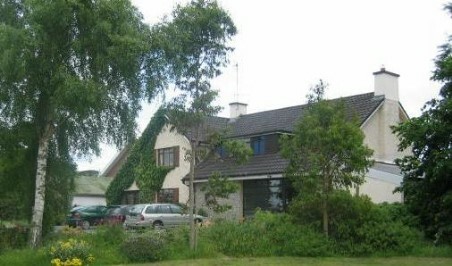 Operated by Mary and Michael McManus, Forest Farm offers a range of accommodation facilities. A Bed & Breakfast and a fully serviced Caravan and Camping Park are all located on this picturesque family farm. The working farm features magnificent mature Beech and Evergreen trees. . Located in South Kildare just 5 km from the Heritage town of Athy and 55km from Dublin, Forest Farm is situated on the old Dublin Road (R418). It' s location makes it an ideal touring base for the nearby attractions of the Japanese Gardens, the National Stud and the world renowned Horse Racing venue of the Curragh. Golfing facilities are available close by, with our 18 Hole courses (Athy, The Curragh and Carlow) all located with a 15 mile radius. The River Barrow and the Grand Canal both run through Athy, thus catering for both the Coarse and Game angler.